Our long-standing Malaysian customer Forestry attaches considerable importance to maintaining good customer relations in Europe. 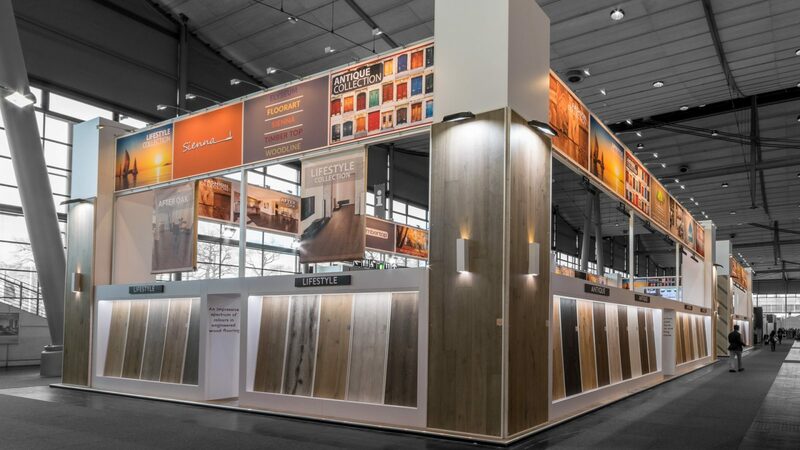 And what better platform than the world-leading Domotex trade fair in Hanover, where the size of the company’s stand was doubled to more than 400 m² in 2018? 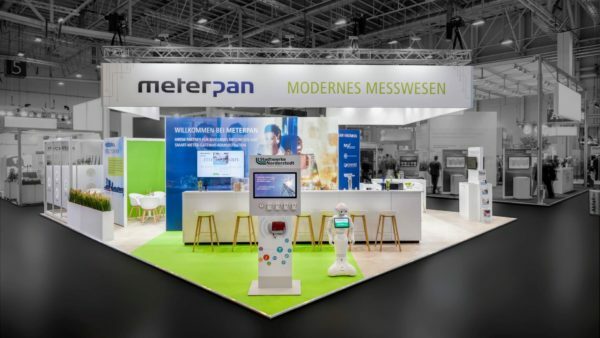 The result: plenty of space for product presentations and looking after existing customers. 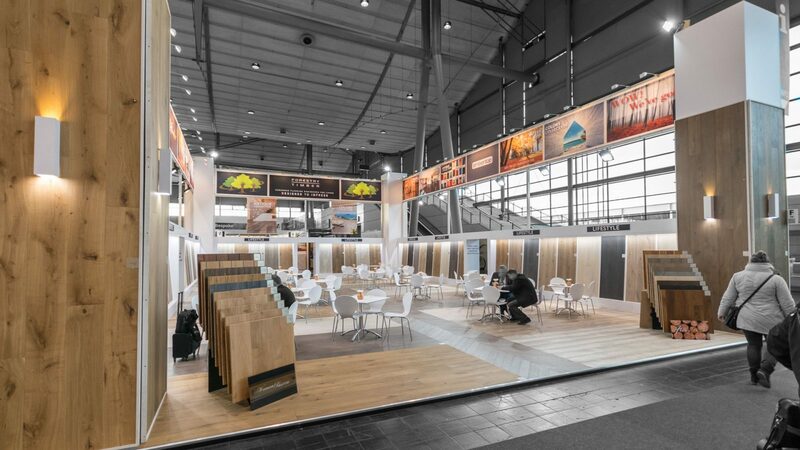 Forestry, a manufacturer of wooden flooring, put its exhibits at industry visitors’ feet, as the entire floor area was fitted with expertly laid, high-quality genuine wooden flooring made by the company. 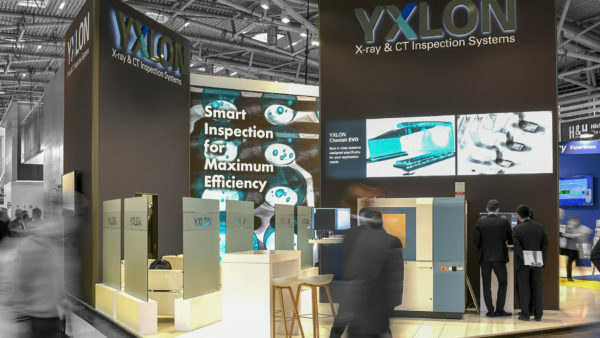 As a result, customers could see the top-notch quality of the products for themselves – with no trace of wear, even after several days! 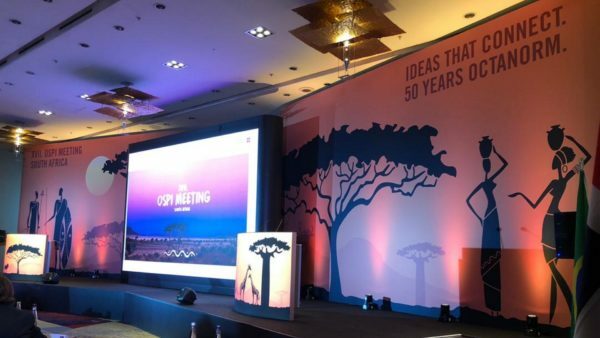 Numerous stylishly illuminated examples on the walls of the self-contained stand system illustrated the diversity of the product portfolio, whereas an impressive video screen presented a corporate image film about the host. 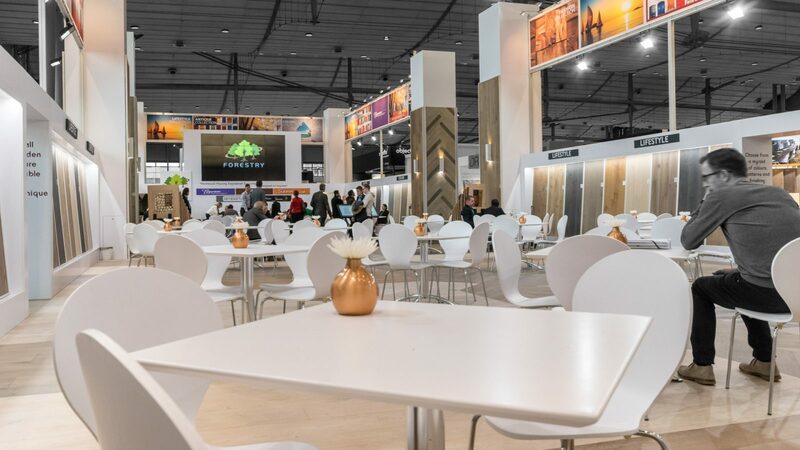 Once visitors had seen enough, they could kick back and relax, as a large counter and numerous seating areas offered the perfect setting for consultations, taking a break and the stand party held each evening. Who said flooring was dull?